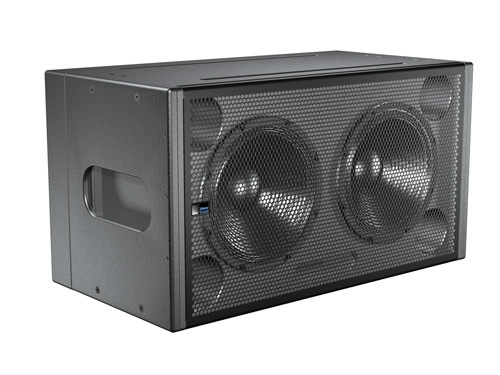 The 600-HP is a self-powered, high-output subwoofer that may be used in both flown and ground-stacked configurations. It is designed to rig directly with MICA compact, high-power curvilinear array loudspeakers when fitted with the optional Quick-Fly MRF-600 rigging frame. The versatility of the 600-HP also allows it to be used with a variety of other Meyer Sound self-powered loudspeakers in fixed and touring applications.